Healthcare - Berkery, Noyes & Co., LLC. Our healthcare team is comprised of investment bankers who have recently led dozens of transactions on behalf of a variety of companies, including behavioral health, healthcare IT, pharma, supply chain, and workflow solutions clients. 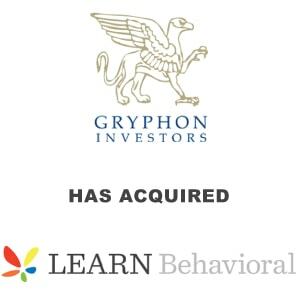 Gryphon Investors, a San Francisco-based private equity firm, announced that it has acquired a majority stake in LEARN Behavioral from LLR Partners. LEARN is the leading network of providers serving children with autism and other special needs. LEARN Behavioral is the leading network of behavioral health providers serving children with autism and other special needs. LEARN delivers Applied Behavior Analysis (ABA) and related interventions based on industry-leading quality standards. Based in San Francisco, Gryphon Investors is a leading private equity firm focused on profitably growing and competitively enhancing middle-market companies in partnership with experienced management teams. 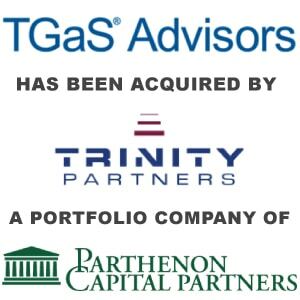 Global life sciences consulting firm Trinity Partners announced it has acquired TGaS® Advisors, the leading benchmarking and advisory services firm for commercial organizations in the life sciences industry. TGaS provides robust comparative intelligence and collaborative network membership services. TGaS Advisors is the leading benchmarking and advisory services firm for commercial organizations in the life sciences industry. TGaS provides robust comparative intelligence and collaborative network membership services. Trinity Partners provides state-of-the art approaches and solutions to the health care industry. They believe that accurate market assessments result from intensive data analysis and fact gathering. They believe that precise, targeted sales information gives clients a vital competitive edge. iContracts, a leading provider of cloud-based contract, compliance, and revenue management solutions announced that it has acquired Toronto, Canada based PolicyMedical, an industry-leading provider of cloud-based policy lifecycle management solutions. Toronto, Canada based PolicyMedical is an industry-leading provider of cloud-based policy lifecycle management solutions. Their comprehensive SaaS-based solutions enable healthcare organizations to centralize and standardize the administration of policies and procedures. iContracts is a leading cloud-based, software-as-a-service (SaaS) provider of contract management and compliance solutions for healthcare, education and industrial customers. 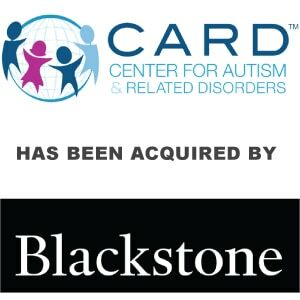 Blackstone announced that private equity funds managed by Blackstone have agreed to acquire the Center for Autism and Related Disorders, LLC, a leading provider of autism behavioral health services for children and adults affected by autism spectrum disorder. The Center for Autism and Related Disorders (CARD), Inc., is among the world's largest and most experienced organizations effectively treating individuals with autism spectrum disorder using the principles and procedures of applied behavior analysis. Blackstone is one of the world's leading investment firms. Their asset management businesses, with over $430 billion in assets under management, include investment vehicles focused on private equity, real estate, public debt and equity, non-investment grade credit, real assets and secondary funds. 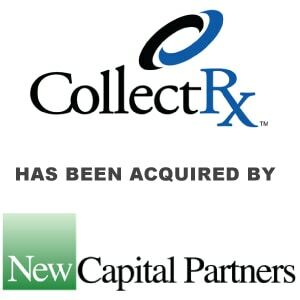 New Capital Partners (NCP), a private equity firm, announces that is has acquired Collect Rx, a leading revenue cycle management (RCM) company. The company leverages its Business Intelligence (BI) engine to analyze claims and increase reimbursement for healthcare providers. Collect Rx is a niche RCM (revenue cycle management) provider headquartered in Bethesda, Md. Founded in 2006, the company focuses on providing their services to surgery centers, hospitals, physician-owned practices, laboratory diagnostic facilities and behavioral health centers. New Capital Partners (NCP) is a private equity firm headquartered in Birmingham, Ala. NCP makes investments in niche, tech-enabled services companies in the healthcare, financial and business services industries. 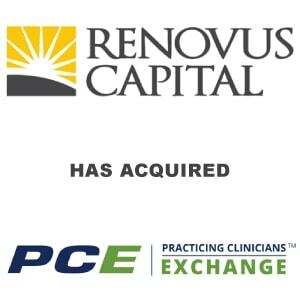 Renovus Capital Partners, a private equity firm focused on the education, training and human capital sectors, has acquired a controlling interest in Continuing Education Alliance, LLC and Practicing Clinicians Exchange (PCE). Based in Stamford, CT, PCE is the national leader in education for nurse practitioners and physician assistants. Practicing Clinicians Exchange (PCE) is an innovative multichannel CME (Continuing Medical Education) company specifically focused on nurse practitioners and physician assistants. PCE provides live, home study, and online CME designed to meet the real-world clinical needs of NPs and PAs. Founded in 2010, Renovus Capital Partners is an education, training and human capital focused private equity firm. Renovus is based outside of Philadelphia and manages $485 million in assets under management through two SBIC funds. 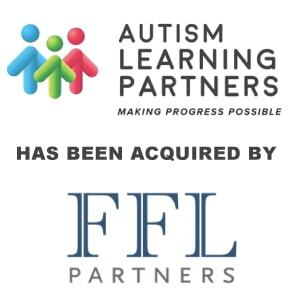 FFL Partners, a private equity firm focused on investing in quality middle-market companies in growing markets, has completed the acquisition of Autism Learning Partners (ALP), a provider of Applied Behaviour Analysis (ABA) therapy services for children and young adults with autism spectrum disorders and developmental disabilities. Autism Learning Partners, of Glendale, Calif., provides Applied Behavior Analysis (ABA) therapy for children and young adults in seven states, serving nearly 3,000 clients annually. Services include cognitive, adaptive, social and emotional therapies as well as social-skills programs. FFL is a venture capital and private equity firm that was formed in 1997 to invest in middle-market companies where the substantial strategic and operating expertise of FFL's principals can help management improve margins, make acquisitions and grow earnings. 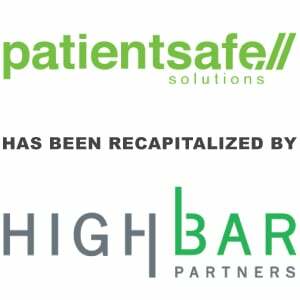 PatientSafe Solutions (PatientSafe), a leader in mobile clinical workflow and communication solutions, has closed a round of financing led by HighBar Partners with participation from Merck Global Health Innovation Fund, Camden Partners, Psilos Group, and TPG. PatientSafe Solutions, Inc., is a San Diego-based provider of software and hardware products, including handheld devices for nurses, bar-coded patient wrist bands and bed side patient portals that interface with hospital information systems to provide patient safety and increase clinical quality. HighBar Partners is a private investment firm focused on strategic growth capital investments in enterprise and infrastructure software companies. Merck Global Health Innovation Fund, Camden Partners, Psilos Group, and TPG are investment companies. 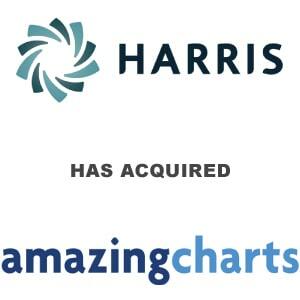 Constellation Software Inc. announced its wholly-owned division N. Harris Computer Corporation has acquired Amazing Charts, LLC, a business providing Electronic Medical Record (EHR), Practice Management (PM) software and Medical Billing services to primary care and specialty outpatient practices. Amazing Charts provides Electronic Health Records (EHR/EMR), Practice Management, and other Health IT solutions to healthcare practices. Based on number one user ratings for usability, fair pricing, and overall satisfaction, Amazing Charts EHR has been adopted by more than 11,000 clinicians. Since 1976, Harris has focused on providing feature-rich and robust turnkey solutions to Public Sector, Schools, Utility, and Health Care agencies. Harris’ focus is on creating long-term relationships with its customers and ensuring that it meets the changing needs of its customers over time. 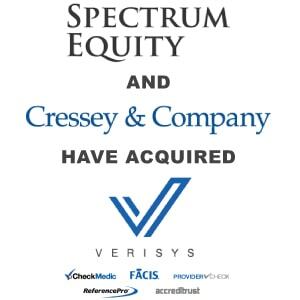 Verisys Corporation, a leading provider of technology solutions and primary-source data on healthcare professionals and businesses, announced that Spectrum Equity, along with Cressey & Company and Verisys CEO John P. Benson, have made a significant growth equity investment in the Company. Verisys is the leading provider of health care credentialing services with the most current, accurate, and comprehensive data and technology tools. Since 1992, Verisys has been leading the health care industry by providing the highest quality data coupled with deep health care industry experience. Spectrum Equity is a leading growth equity firm providing capital and strategic support to innovative Internet, software and information services companies. Cressey & Company LP is a private investment firm focused exclusively on investing in and building leading healthcare businesses. Thermo Fisher Scientific Inc. announced that it has acquired Core Informatics, which provides a cloud-based platform supporting scientific data management. 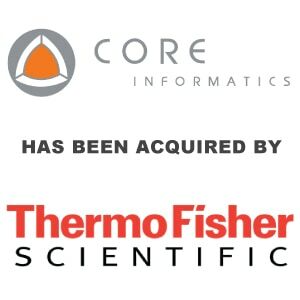 Core’s offerings will enhance Thermo Fisher’s existing informatics solutions and complement its cloud platform, which supports the company’s genetic analysis, qPCR and proteomics systems. Core Informatics partners with customers in biopharma, genomics, and other industries to deliver lab informatics solutions to derive more value and insight from scientific data. Core Informatics provides the scalable Platform for Science that enables customers to build workflows for specific needs. Thermo Fisher Scientific Inc. offers an unmatched combination of innovative technologies, purchasing convenience and comprehensive support. They help customers accelerate life sciences research, solve complex analytical challenges, improve patient diagnostics and increase laboratory productivity. Career Step, an online provider of career-focused education and professional training, has acquired the Revenue Capture and Coding and Documentation Divisions of Panacea Healthcare Solutions. Panacea Healthcare Solutions provides expert coding, compliance, technology and financial advice to hundreds of healthcare providers each year. Seller: Panacea Healthcare Solutions, Inc.
Panacea Healthcare Solutions provides expert coding, compliance, financial consulting and information technology to hundreds of healthcare providers and organizations each year to proactively maintain compliance and identify risk and new incremental net revenue opportunities. Career Step is an online provider of career-focused education and corporate training. Career Step provides training for the largest and most respected healthcare employers in the nation and is committed to helping students and practicing professionals gain the skills they need to be successful. 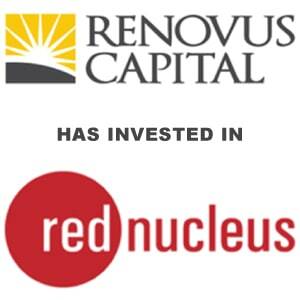 Renovus Capital Partners announced an investment in Red Nucleus Solutions LLC. Red Nucleus is a life sciences learning solutions company headquartered in Yardley, PA. Red Nucleus designs and produces a suite of learning elements which include, e-learning modules, mobile applications, virtual preceptorships and more. Red Nucleus is a leading full-service design and development provider of learning solutions for the life sciences industry. Red Nucleus designs and produces a suite of learning elements which include, e-learning modules, mobile applications, virtual preceptorships, print modules and job aids. Renovus Capital Partners is a private equity firm focused on providing capital and strategic assistance to small and mid-sized education companies. Its team has a combined 41 years of experience investing in education and has helped more than 20 education companies grow and succeed. 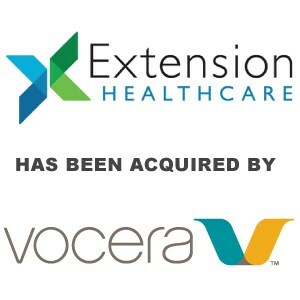 Vocera Communications, Inc., the leading healthcare communications company, announced that it has acquired Extension Healthcare for approximately $55 million in an all-cash transaction. Extension Healthcare is a leading provider of clinical, event-driven communication and workflow collaboration software for the hospital environment. Extension Healthcare’s Engage™ “one platform” approach improves clinical communication, collaboration, care coordination, and workflow with a specific focus on reducing unnecessary clinical interruptions and improving response to critical patient events. Vocera Communications, Inc. offers the most robust clinical communications system in healthcare. Vocera delivers secure, integrated and intelligent communication solutions that enable care teams to collaborate more efficiently by delivering the right information. 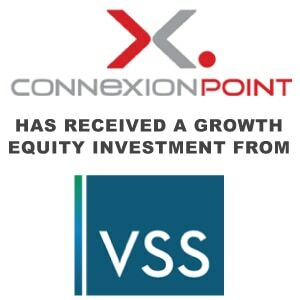 VSS, a private investment firm focused on the information, tech-enabled business services, healthcare IT, and education industries, announced its investment in Connexion Point, LLC. Connexion Point is a leading provider of technology-enabled healthcare services, specializing in communication lifecycle services for the healthcare industry. Connexion Point is a leading provider of technology-enabled healthcare services, specializing in communication lifecycle services for the healthcare industry. Connexion Point facilitates communication, throughout the lifecycle of the consumer, that connects the healthcare industry to their consumer. 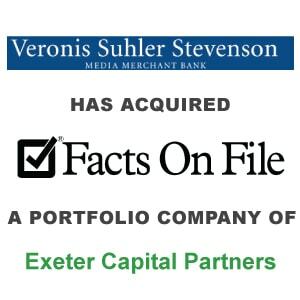 Veronis Suhler Stevenson (VSS) is a leading private investment firm that invests in the information, business services, healthcare IT, education, media and marketing services industries in North America and Europe. 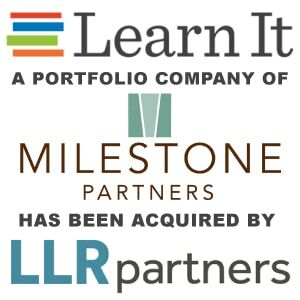 Learn It Systems, a portfolio company of Milestone Partners, has been acquired by LLR Partners, a leading middle market private equity firm headquartered in Philadelphia, PA. Learn It Systems, headquartered in Baltimore, MD, is a leading national behavioral health and related services company serving children with autism and other special needs. Learn It Systems is a leading national behavioral health and related services company serving children with autism and other special needs. Learn It's comprehensive behavioral health platform addresses large, high-growth markets being driven by insurance reform, an evolving reimbursement landscape. LLR Partners is a lower middle market private equity firm providing capital and strategic guidance to growth companies. They invest in a broad range of industries, with an emphasis on software, tech-enabled services and healthcare. 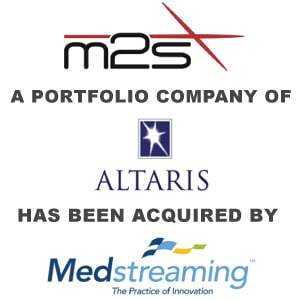 Medstreaming, a leading provider of innovative healthcare cardiovascular and radiology workflow software solutions, announced the acquisition of M2S, a leading provider of registry software technology designed for healthcare quality improvement. M2S, Inc. provides medical image, data management, and and outcomes analysis services for the improvement of patient outcomes. It offers image management solutions to allow customers to collect, view, and manage imaging data. Medstreaming is a provider of innovative healthcare cardiovascular and radiology workflow software solutions. Since 2006, Medstreaming has become a leader in delivering specialty-based workflow applications that function as a “best of breed” application for over 20 different clinical specialties. 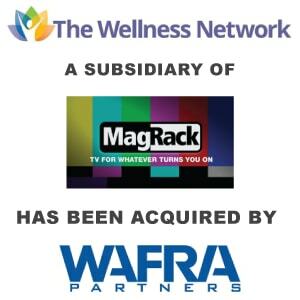 The Wellness Network has been sold to an entity formed by the clients of Wafra Partners LLC, a private equity firm that seeks to invest in and build successful middle-market companies. The Wellness Network owns and operates the largest and most comprehensive in-hospital health TV networks in the US. The Wellness Network owns The Patient Channel, The Newborn Channel, and HealthStyle Press, the most comprehensive in-hospital TV networks. Delivered directly to patient rooms and waiting areas, the Channels provide viewers with original, award-winning health programs. Wafra Partners is a private equity firm that seeks to invest in and build successful middle-market companies. Wafra Partners purchases control or significant minority positions in companies with strong management, high-upside, discernable value and growth drivers. 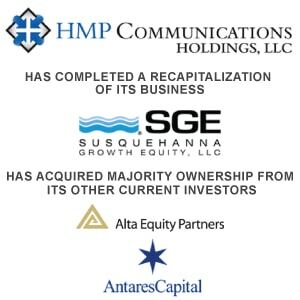 HMP Communications Holdings, LLC (HMP), has completed an agreement with Susquehanna Growth Equity, LLC (SGE), under which current investors, Alta Communications and Antares Capital, have sold their interests in HMP to SGE. With the sale, SGE becomes HMP’s majority equity holder. HMP is a leading provider of healthcare content and events. HMP Communications Holdings is a multi-channel leader in healthcare content and education, with a mission to improve patent care. The company produces clinically relevant, evidence-based journals, events and accredited, continuing education for the healthcare community. 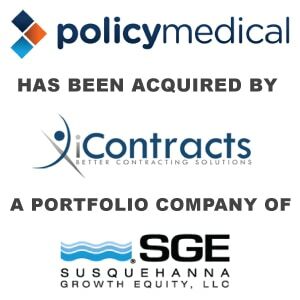 Susquehanna Growth Equity, LLC (SGE) invests in growth stage companies in the information services, internet and software sectors. The firm is backed by a unique and patient capital base that allows management teams the freedom and flexibility to maximize growth. 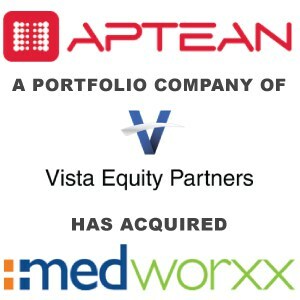 Aptean, Inc., a leading provider of industry-focused mission critical enterprise software solutions, announced the completion of its acquisition of Medworxx Solutions Inc., a leader in clinical patient flow, and compliance and education solutions. Medworxx helps hospitals meet patient flow challenges and requirements for compliance and education. Medworxx Clinical Criteria, the flagship component of Medworxx Patient Flow, is currently used to manage 32% of the acute-care beds in Canada as well as acute-care beds in the United States. Aptean is a provider of industry-focused mission critical enterprise software solutions. They build and acquire solutions to support the evolving operational needs of their customers. Their solutions help nearly 5,000 organizations by satisfying their customers and continuing to operate efficiently. 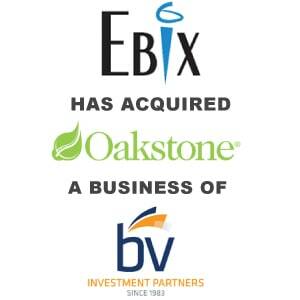 Ebix, Inc., a leading international supplier of On-Demand software and E-commerce services to the insurance, financial and healthcare industries, announced that it has acquired Alabama-based Oakstone Publishing, LLC, a leading provider of continuing education, certification materials for physicians, dentists and allied healthcare professionals. Oakstone Publishing, LLC, an innovative learning company, excels at providing nonbiased, multimedia continuing education and certification materials for physicians, dentists and allied healthcare professionals. Ebix is a leading international supplier of On-Demand software and E-commerce services to the insurance industry. It provides solutions ranging from infrastructure exchanges and risk compliance solutions to custom software development for all entities involved in the insurance industry. 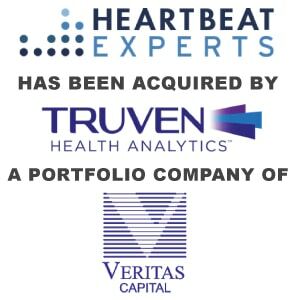 Truven Health Analytics, a leading provider of healthcare analytics and data solutions and services, announced that it has completed its previously announced acquisition of Heartbeat Experts, the global leader in stakeholder management solutions for the life sciences industry. Heartbeat Experts combines strategic consulting, enterprise software, data, analytics and market research to provide solutions that help Life Sciences and Financial Services firms drastically improve the success of their products. Truven Health Analytics is a leading provider of healthcare analytics and data solutions and services across the entire healthcare industry. They are dedicated to delivering the answers their clients need to improve healthcare quality and reduce costs. 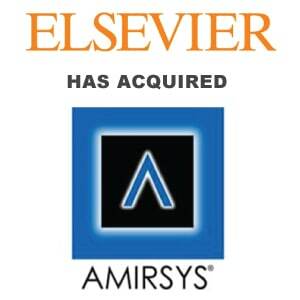 Elsevier, a world-leading provider of scientific, technical and medical information products and services, announced the acquisition of Amirsys, a leading provider of innovative healthcare information solutions in radiology, pathology, and anatomy. Amirsys, Inc. is a leading provider of innovative healthcare information solutions in radiology, pathology, and anatomy. Amirsys delivers medical expertise with powerful technology to provide life-saving, vital information to healthcare professionals. Elsevier is a provider of information solutions that enhance the performance of science, health, and technology professionals, empowering them to make better decisions, deliver better care, and sometimes make groundbreaking discoveries that advance the boundaries of knowledge and human progress. 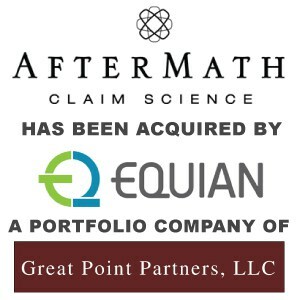 Equian completed the acquisition of AfterMath Claim Science, Inc. effective June 16, 2014. Based just outside of Chicago, IL, AfterMath Claim Science is a post-payment recovery services company that identifies and eliminates medical claim payment errors. Seller: AfterMath Claim Science, Inc. AfterMath Claim Science is a specialized overpayment recovery company, with data mining techniques aimed at specific claim types not detected by traditional claims overpayment services. Its Member Eligibility Overpayment (MEO) recovery program is the highest performing recovery program of its kind. Equian is a healthcare information services company focused on lowering the cost of care by eliminating waste. It provides pre-payment solutions, post-payment solutions, and data analytics methodology. 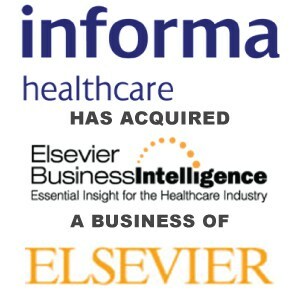 Informa plc has acquired Elsevier Business Intelligence. Elsevier Business Intelligence was cobbled together from previous Elsevier acquisitions—F-D-C Reports, Inc. in 1994 and Windhover Information, Inc. in 2008. It publishes some of the most prestigious newsletters for the healthcare industry. Elsevier Business Intelligence, a global leader in the field of healthcare industry information, provides business intelligence on regulatory, business and reimbursement issues that are vital to the healthcare industry. It provides publications, conferences, databases and reports. Informa Healthcare is a medical and scientific publisher whose goal is to connect librarians, scientists, professionals and other medical practicioners with information they can trust and see through a comprehensive portfolio of journals, print and online books, encyclopedias and directories. 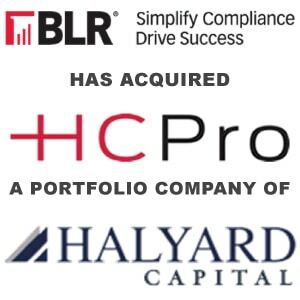 BLR®—Business & Legal Resources—announced the acquisition of the HCPro and HealthLeaders Media brands and certain assets. HCPro is a leading provider of integrated information, education and training in the vital areas of healthcare regulation and compliance. HCPro is a provider of integrated information, education, training, and consulting products and services in the vital areas of healthcare regulation and compliance. HealthLeaders Media is a media company dedicated to meeting the business information needs of healthcare professionals. BLR is the leading provider of employment, safety, and environmental compliance solutions. Its award-winning information products—including training programs, events, web portals, reports and subscription services—give businesses of all sizes and industries the best tools available. 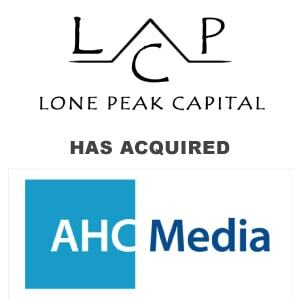 Atlanta-based AHC Media has been acquired by local industry executives and Lone Peak Capital Group. AHC's up-to-date publications assist a range of professionals in the fields of clinical medicine and health care management. 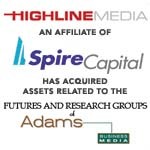 AHC Media is also the most trusted source for continuing education in the healthcare industry. 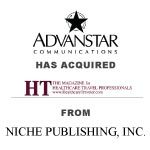 AHC Media is the largest publisher of health care newsletters in the world. AHC Media's incisive, useful, up-to-date publications are read by more than 50,000 people per month in the fields of clinical medicine, health care management, and biotechnology and medical devices. Lone Peak Capital Group LLC is a private investments firm that provides corporate financial solutions and makes associated strategic investments on behalf of its principals and/or its clients. Lone Peak was organized by principals of Riverside Advisors, LLC a premier global hedge fund firm. 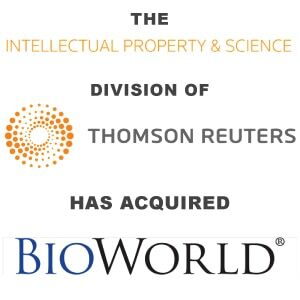 BioWorld and its companion publication Medical Device Daily (MDD) have been acquired by Thomson Reuters, the world’s leading source of intelligent information for businesses and professionals. BioWorld covers news on public companies and hard-to-find information on private companies. BioWorld covers news on public companies and hard-to-find information on private companies. This news coverage of the biotechnology industry is 100 percent original and available only at BioWorld. Thomson Reuters is the world's leading source of intelligent information for businesses and professionals. It combines industry expertise with innovative technology to deliver critical information to leading decision makers. 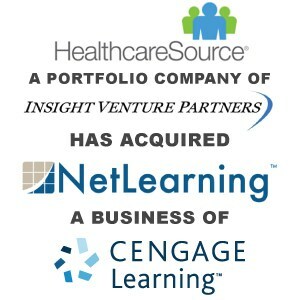 HealthcareSource® announced that it has acquired NetLearning, a leading provider of learning management software and content for the healthcare industry. The combination of HealthcareSource and NetLearning results in the first company to provide a complete, end-to-end talent management solution designed specifically for healthcare. NetLearning is an e-learning solutions provider developing products specifically for the healthcare industry since 1995. The NetLearning product suite allows for the deployment, management, and reporting of training-related activities. HealthcareSource is the leading provider of talent management software for the healthcare industry. HealthcareSource helps healthcare organizations source, hire, assess, develop and retain the best workforce possible in order to reduce costs and to improve patient satisfaction and safety. 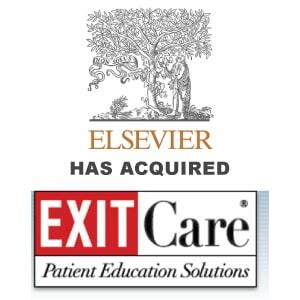 Elsevier CDS announced the acquisition of ExitCare, LLC, an enterprise-wide solution for patient education and discharge instructions. ExitCare provides peer-reviewed patient education and discharge instructions to support clinicians, empower patients and help providers meet their patients' educational needs. ExitCare, LLC is the most integrated, enterprise-wide provider of print, video and interactive solutions for patient education and currently serves over 2,000 healthcare organizations across the United States. Elsevier CDS delivers actionable clinical content, care planning and documentation, drug reference and decision support, learning and performance management, and data mining and outcomes analytics solutions for provider, pharmacy and payer organizations. 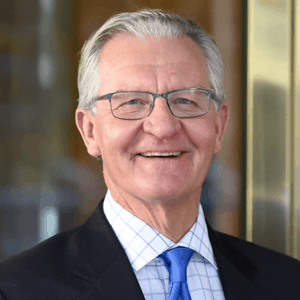 North American Center for Continuing Medical Education announced that it has acquired CME LLC, which operates the US Psychiatric & Mental Health Congress. More than 2,000 physicians, nurses, and others earn as many as 30 credits toward their CME requirements each year at the US Psychiatric & Mental Health Congress. CME LLC provides innovative, evidence-based, clinically relevant accredited continuing medical education in a collaborative fashion for the health care community. It operates the U.S. Psychiatric & Mental Health Congress--one of the largest annual psychiatric CME meetings in the United States. 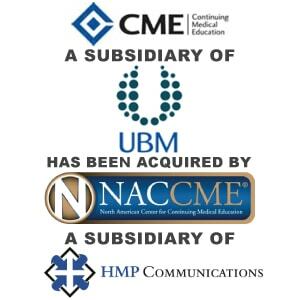 NACCME is a wholly owned subsidiary of HMP Communications Holdings, LLC and an industry leader in continuing medical education. It provides the highest quality CME/CE across medical disciplines and therapeutic areas. 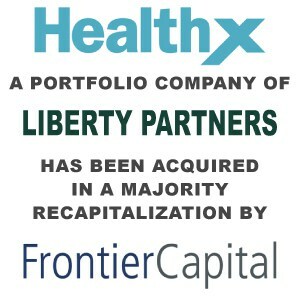 Frontier Capital is pleased to announce that it has partnered with existing management to complete a majority recapitalization of Healthx, Inc., a leading provider of online healthcare portals to health insurers, medical providers, and employers. Healthx develops and manages the most widely adopted portals and applications for the healthcare and human resources markets. Healthx was formed to meet the unique communication needs of the healthcare industry by helping payers and employers deliver benefits faster and at a lower cost. Frontier Capital is a Charlotte-based growth equity firm focused exclusively on technology enabled business services. Frontier partners with management teams that can benefit from capital to accelerate growth, fund acquisitions, or generate shareholder liquidity. 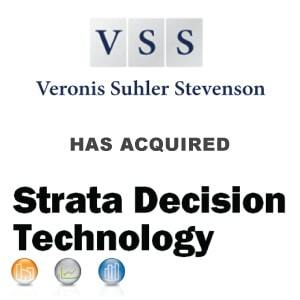 Veronis Suhler Stevenson, a leading global private investment firm, announced that an affiliate has acquired financial software company Strata Decision Technology, LLC (SDT). Strata Decision Technology develops, markets and implements web-based financial analytics and performance management software tools. Strata Decision Technology is a pioneer in the development of innovative software tools for financial and business analytics in the U.S. healthcare industry. Strata Decision Technology is a trusted technology partner to leading hospitals, academic medical centers, and healthcare systems. 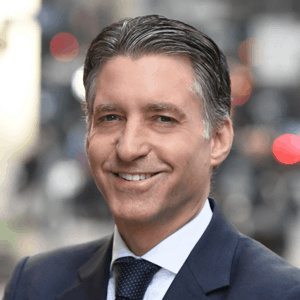 Veronis Suhler Stevenson, founded in 1981, is a leading private equity firm that makes buyout and mezzanine investments in the information, education and media industries in North America and Europe. 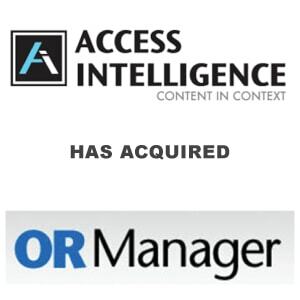 Access Intelligence LLC and its Dorland Health division has announced the acquisition of OR Manager, Inc., the premier media brand and annual educational conference and trade show for operating room executives, managers and hospital directors. Founded in 1985, OR Manager has been the leader in providing information on management of the OR. Founded in 1985 by Ellie Schrader and Pat Patterson, OR Manager, Inc. has been the leader in providing information on management of the OR. OR Manager is a media brand and events company serving operating room executives, managers and doctors. 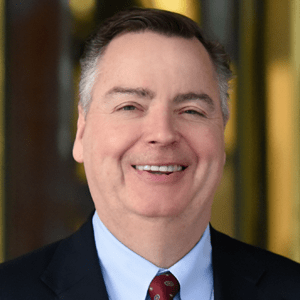 Access Intelligence, a portfolio company of Veronis Suhler Stevenson, is a b-to-b media and information company headquartered in Rockville, Md., serving the energy, chemical, defense, aerospace, healthcare and communications markets. 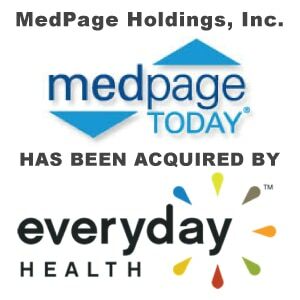 Medpage Today LLC Sold to Everyday Health, Inc. Everyday Health, Inc., a leading provider of online health solutions, announced that it has acquired MedPage Today, LLC, a news organization serving healthcare professionals. 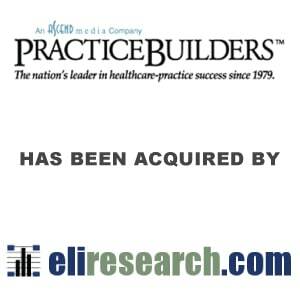 The acquisition immediately provides Everyday Health with a significant offering for healthcare professionals. MedPage Today is a news organization serving healthcare professionals. The company's daily, peer-reviewed news coverage delivered via the web and several mobile applications allows healthcare professionals to put breaking medical news into practice. Everyday Health is a leading provider of health solutions. The company provides consumers, healthcare professionals, and brands with content and advertising-based services across a broad portfolio of over 25 websites that span the health spectrum. 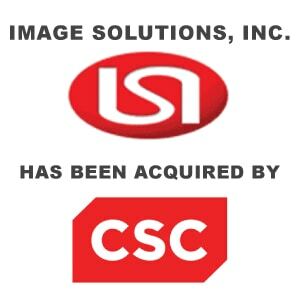 Computer Sciences Corporation announced it has closed the acquisition of Image Solutions, Inc. (ISI), a privately-held, global leader in regulatory submission management solutions and related implementation and outsourcing services for the Life Sciences sector. Founded in 1992, Image Solutions, Inc. is a proven market leader in providing submissions solutions, process services and consulting to Life Sciences companies as a way to improve clinical and regulatory processes that bring new medicines to market. Computer Sciences Corporation is a global leader in providing technology-enabled solutions and services through three primary lines of business. These include Business Solutions & Services, the Managed Services Sector and the North American Public Sector. 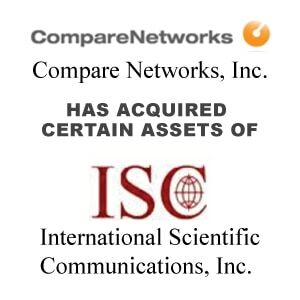 CompareNetworks, Inc., a leading provider of online b-to-b marketplaces for the scientific and healthcare industries, acquired the titles of American Laboratory and American Biotechnology Laboratory from International Scientific Communications (ISC), Shelton, CT. Seller: International Scientific Communications, Inc.
International Scientific Communications, Inc. publishes journals, editorial tabloids, and technical articles on analytical chemistry and life sciences for the chemists and life scientists. Its publications provide news and information in the biotechnology, drug discovery, and many others. CompareNetworks operates targeted, online, b-to-b marketplaces for professionals worldwide. CompareNetworks integrates online marketplaces, email newsletters, video, whitepapers and editorial content to bring buyers and sellers together. 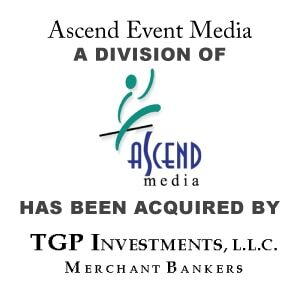 TGP Investments, LLC, the manager of private equity investment fund, TGP Capital Partners LLC, is pleased to announce that the fund has acquired the Event and Custom Media Division of Ascend Media. 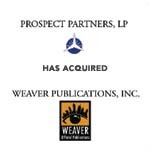 The transaction was completed in partnership with Cameron Bishop who will also serve as the company’s CEO. Ascend Media is positioned as a leader in the business-to-business media environment - with a unique focus on medical, healthcare and business services industries. 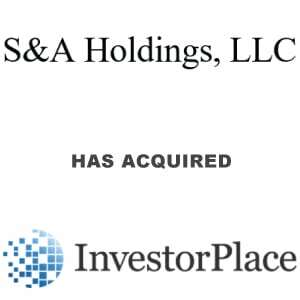 Kansas City-based TGP Capital Partners, LLC is a $56.5 million private equity investment fund formed to make investments in well-managed, profitable and growing middle-market companies. 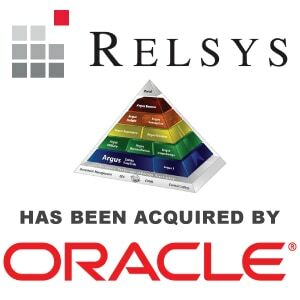 Oracle Corporation has completed the acquisition of Relsys International, Inc. The combination of Oracle and Relsys is expected to deliver the only suite of software applications that supports end-to-end drug safety processes across clinical development, post-market surveillance and patient care. Relsys International is the leading global provider of drug safety and pharmacovigilance solutions that help pharmaceutical, biotech and medical device companies ensure regulatory compliance, streamline operations, and improve product safety. Oracle is the world's largest enterprise software company. The company is a leading provider of systems software, including database management, application development, and application server software. 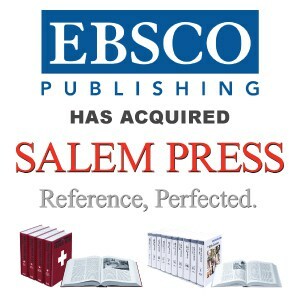 EBSCO has signed an agreement to purchase Salem Press, a 60-year-old publisher of health, literature, and history reference books and databases known for its success in selling databases both in print and online as a package. Since 1949, Salem Press has been the publisher of reference works on literature, history and biography, the social sciences and the sciences suitable for adult and young adult readers spanning all educational venues. Reference materials are both printed and electronic. EBSCO Publishing is the world's premier database aggregator, offering a suite of nearly 300 full-text and secondary research databases. EBSCO serves the content needs of all researchers: Academic, Medical, K-12, Public Library, Corporate, Government. 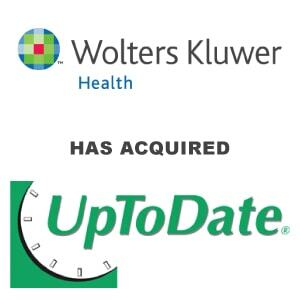 Wolters Kluwer Health, a leading provider of information and business intelligence for students, professionals and institutions in medicine, nursing, allied health, pharmacy and the pharmaceutical industry, announced that it has acquired UpToDate, the leading evidence-based electronic clinical information resource. UpToDate specializes in physician-driven products designed to improve healthcare at the point of care and integrate smoothly into Electronic Medical Records. UpToDate collaborates with physicians, who create recommendations on how to diagnose and treat thousands of conditions. Wolters Kluwer Health is a leading provider of information for professionals and students in medicine, nursing, allied health, pharmacy and the pharmaceutical industry. 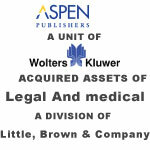 Major brands include traditional publishers of medical and drug reference tools and textbooks. 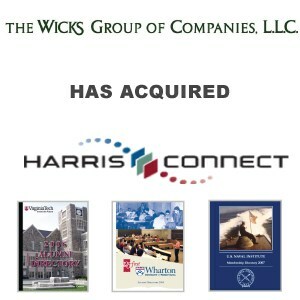 Wicks Communications & Media Partners III, L.P. a New York-based private equity fund, announced that its portfolio company, has completed the acquisition of assets of Harris Connect, Inc., the market leader in alumni and member affinity solutions. Harris Connect publishes over 600 alumni and membership directories annually, provides Internet services to more than 1,000 leading educational institutions and membership organizations and delivers best-in-class research and modeling solutions to over 1,000 clients. The Wicks Group of Companies, L.L.C. is a New York based private equity firm that invests in selected segments of the communications, information and media industries. 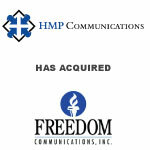 Berkery Noyes announced today that the firm represented Princeton Media Associates in its sale to HMP Communications, a portfolio company of Alta Communications. 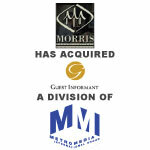 The management team will continue to have an investment in the new combined entity. 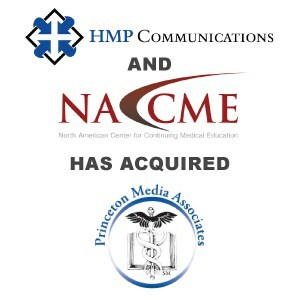 Princeton Media Associates produces live, print, and web- based certified continuing medical and pharmacy education and informational services for healthcare professionals. PrincetonCME, offers CME/CE activities in a variety of formats, including teleconferences, symposia, monographs, and webcasts. HMP Communications is a medical information provider dedicated to ensuring the availability and affordability of excellence in healthcare education. Our readers and customers range from physicians/clinicians recognized for their expertise to influential industry leaders. Berkery Noyes Represented The Riverside Company on the Sale of HCPro Holdings, Inc. to Halyard Capital, LLC. 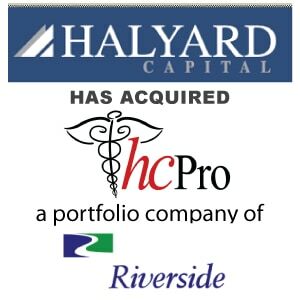 Berkery Noyes announced that the firm represented The Riverside Company on the sale of its portfolio company HCPro Holdings, Inc. to Halyard Capital. The management team will continue to have an investment in the new entity. Terms of the transaction were not disclosed. HCPro is a leading provider of integrated information, education, training, and consulting products and services in the vital areas of healthcare regulation and compliance. The company's mission is to meet the specialized informational, advisory, and educational needs of the healthcare industry. Halyard is a private equity fund with $350 million of capital under management focused on investing in media, communications and business services companies. The Fund specializes in middle-market leveraged buyouts, growth equity and structured equity investments. 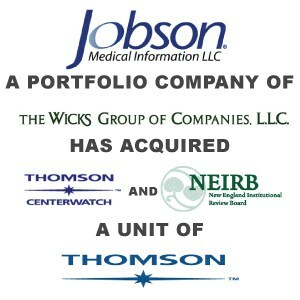 The Thomson Corporation announced the sale of CenterWatch to Jobson Medical Information, a portfolio company of The Wicks Group, LLC. CenterWatch is a trusted source and global leader in providing proprietary data and information about clinical trials to both professionals and patients. CenterWatch is a trusted source and global leader in providing proprietary data and information about clinical trials to both professionals and patients. Jobson Medical Information is a leading specialty healthcare communications, publishing, and medical education company. Jobson Medical Information produces a broad range of publications, educational programs, enduring educational materials, live events, symposia and websites. 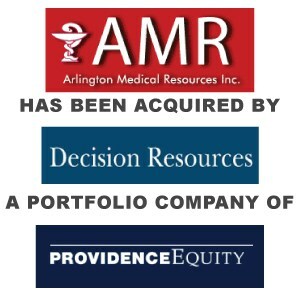 Berkery Noyes, the leading independent investment bank serving the media, information and technology markets, announces that it represented Arlington Medical Resources, Inc. in its sale to Decision Resources, Inc., a portfolio company of Providence Equity Partners, Inc. Terms of the transaction were not disclosed. Seller: Arlington Medical Resources Inc.
AMR is a privately held pharmaceutical market research firm headquartered in suburban Philadelphia. We have been serving the market research needs of the pharmaceutical & diagnostic imaging industries since 1988. Decision Resources, Inc. is a world leader in research publications, advisory services and consulting designed to help clients shape strategy, allocate resources and master their chosen markets. 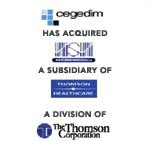 Decision Resources consists of the medical technology business unit and the biopharma business unit. 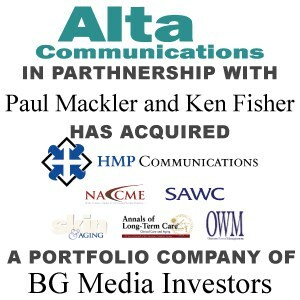 Berkery Noyes announced today that the firm represented BG Media Investors on the sale of its portfolio company HMP Communications to Paul Mackler, Ken Fisher, and Alta Communications. Terms of the transaction, were not disclosed. Alta Communications is a Boston-based private equity firm specializing in equity investments in media and communications companies. Alta Communications has a very successful track record and is extremely active, having invested in over 100 media and telecommunications companies. 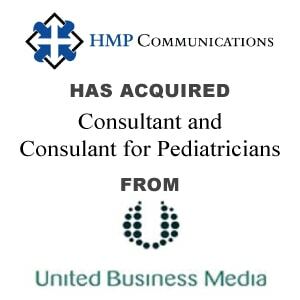 MediMedia USA announced the acquisition of a majority interest in Complete Healthcare Communications, Inc., a leading strategic medical communications agency that specializes in strategic publication planning. 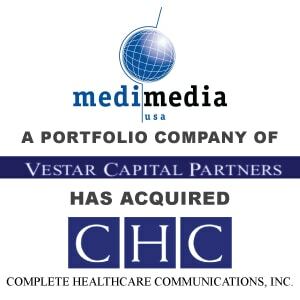 CHC will join the Professional Division of MediMedia USA. Seller: Complete Healthcare Communications Inc. 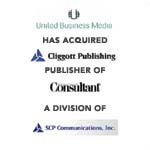 Complete Healthcare Communications is a strategic medical communications agency that specializes in publication planning. Our commitment to all of our clients is to deliver the highest product quality coupled with exceptional service, resulting in scientific integrity with commercial impact. MediMedia’s products and services include integrated and comprehensive health management programs, patient education content, and applications purchased by healthcare stakeholders: physicians, patients, employers, hospitals, health plans and pharmaceutical companies. 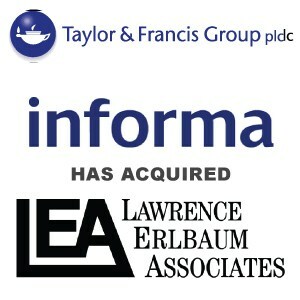 Informa plc, the leading global information specialists, announces that its Academic & Scientific division has agreed to acquire, subject to the receipt of regulatory clearances, Lawrence Erlbaum Associates, Inc., Publishers of New Jersey. 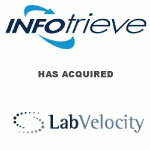 LEA will become part of Informa's Taylor & Francis academic publishing business. Seller: Lawrence Erlbaum Associates, Inc. Founded in 1973 as a small publishing house concentrating mainly on research monographs in psychology, Lawrence Erlbaum Associates (LEA) has grown into an international publisher and distributor of books, journals, software, and alternative media. Taylor & Francis Group is a leading academic publisher, releasing more than 500 journals and some 1,500 books each year. The company serves the educational, industrial research, and professional markets through a dozen imprints, including Carfax, Falmer, Garland, and Routledge. 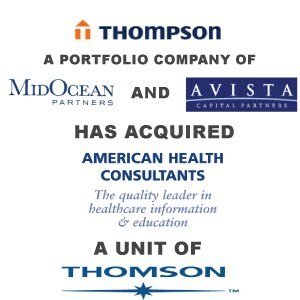 Thompson Publishing Group, a leading provider of subscription based information services, has acquired American Health Consultants, a leading provider of healthcare information products, from The Thomson Corporation . 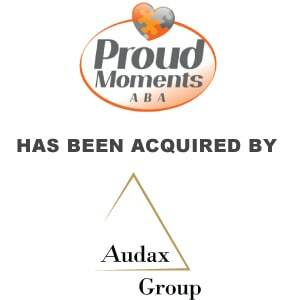 The acquisition was completed on August 31, 2006. American Health Consultants is the largest publisher of health care newsletters in the world. We began in 1974 with a single title, Hospital Infection Control. We have grown in the quarter century since to more than 80 titles serving a broad spectrum of professionals in health care. 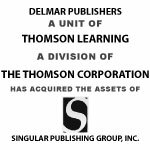 Thompson Publishing Group, a D.C.-based information services provider, is been a leading source of analysis and guidance for business and government executives. Professionals rely on Thompson for help in tracking, and complying with, the dynamic regulatory mandates facing their organizations. 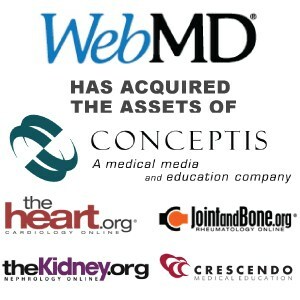 Berkery, Noyes & Co. represents Conceptis Technologies Inc. in its sale to WebMD Health. Extending its leadership in mergers and acquisitions among online healthcare information providers, Berkery, Noyes & Co., LLC represented Conceptis Technologies Inc., and its flagship cardiology portal www.theheart.org, in its sale to WebMD Health. 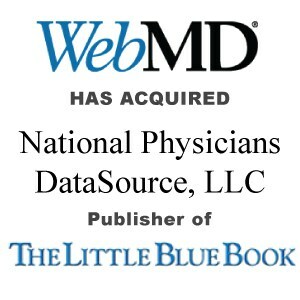 WebMD is a leading provider of health information services to consumers, physicians, healthcare professionals, employers and health plans.Through our public online portals, WebMD enables health-involved consumers and clinically active physicians to readily access healthcare information. 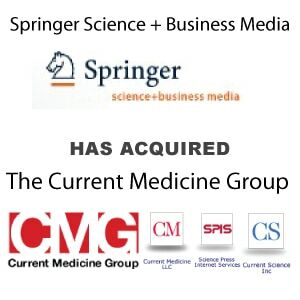 Springer Science+Business Media (Springer) has acquired the Current Medicine Group (CMG), a leading publisher for the healthcare community. CMG is based in the United Kingdom and the United States and consists of four different operating units. Springer Science+Business Media is a publishing company for specialist knowledge and information. They publish textbooks, reference works, databases and provide online services used by both academics, students and practitioners. 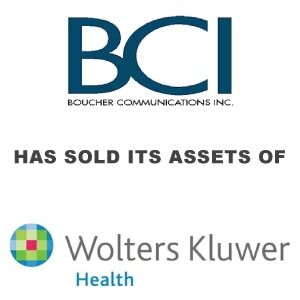 Wolters Kluwer Health announced that it has acquired the total assets of Pennsylvania-based Boucher Communications Inc.. BCI assets will become a part of Wolters Kluwer Health's Medical Research unit, a leading provider of print and electronic research information for medical and academic institutions, medical practitioners, and corporations. 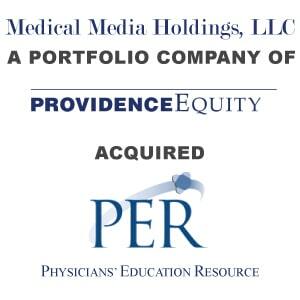 Physicians’ Education Resource, L.P. ("PER") has been sold to Medical Media Holdings, LLC, a portfolio company of Providence Equity Partners, Inc. PER, based in Dallas, TX, is a widely respected provider of fully accredited Continuing Medical Education (CME) conferences & publications. Physicians’ Education Resource ("PER"), is a widely respected provider of fully accredited Continuing Medical Education (CME) conferences & publications targeted to physicians who specialize in oncology. Providence Equity Partners Inc. is a private investment firm specializing in equity investments in communications and media companies around the world. The principals of Providence Equity manage funds with approximately $21 billion in equity commitments. SNL Financial LC and Summit Business Media announced SNL’s acquisition of Highline Data, Summit’s insurance information services unit. As part of the acquisition, Highline Data’s clients will now have the ability to access SNL’s robust financial institutions database with detailed profiles on more than 20,000 U.S. financial institutions. Highline Data uniquely meets the insurance and financial sectors’ needs for timely and comprehensive insurance industry financial and market data. The company publishes detailed financial information on more than 8,000 U.S. insurance companies. SNL Financial is a leading provider of financial information on more than 3,300 public companies and 50,000 private companies in the business sectors critical to the global economy: Banking, Financial Services, Insurance, Real Estate, Energy and Media & Communications. 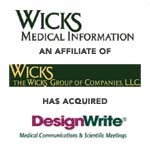 Wicks Medical Information, LLC today announced that it has completed the acquisition of DesignWrite, Inc. and PharmaWrite, LLC (collectively, "DesignWrite"). DesignWrite is a leading specialty healthcare communications, publishing and medical education company. Terms of the transaction were not disclosed. We offer a comprehensive approach to product positioning, providing strategic marketing, scientific, and editorial support to meet individual challenges throughout a product’s life cycle.